MWH Global, an engineering, consulting and construction firm focused on water and natural resources, announced today that Alan Krause, chairman and chief executive officer, has been appointed to the U.S. Environmental Technologies Trade Advisory Committee as a representative from MWH and of the consulting and engineering segment of the U.S. environmental technology sector. The appointment is effective through August 18, 2016, when the Committee’s current charter expires. The Advisory Committee is tasked with developing actionable recommendations to improve the export competitiveness of the consulting and engineering sectors. Members will provide consensus advice on the development and administration of programs and policies to expand U.S. exports of environmental technologies, goods, services, and products that comply with U.S. environmental, safety, and related requirements. The Committee’s work is expected to strengthen the nation’s efforts under the ongoing Environmental Export Initiative, as well as the National Export Initiative (NEI)/NEXT. With more than 36 years of industry and market experience, Krause has been a strong voice for business to act in a responsible and appropriate way, and he embraces the vision that technology offers to provide better solutions. 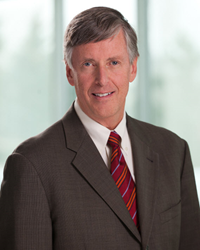 As MWH chairman and CEO since 2011, he has served to advance the organization’s position as the global leader in the water and natural resources sectors using unique sustainable solutions. His leadership acuity also extends to the unique sustainable solution applied to such major global initiatives as the Third Set of Locks/Panama Canal Expansion, that is transforming global transportation; to the Tekeze Hydropower Project in Ethiopia, that increased power stability and provided and provided reliable access to light, heat and water for 80 million people, and to his pivotal role in upgrading London’s aging water system infrastructure. Krause is a member and distinguished engineer for the Pan American Academy of Engineering. He was a contributor to the recently published book “The Value of Water: A compendium of Essays by Smart CEO,” published in 2014.